Just as humans have chakras, nadis, meridians, and pressure points so does the Earth. We instead call them ley lines, grids, vortices, and sacred sites. But perhaps most mysterious and spectacular of all, is Gaia’s own Kundalini system. Yes–this planet and it’s sentient body of consciousness also has the coiled serpent power moving through her. 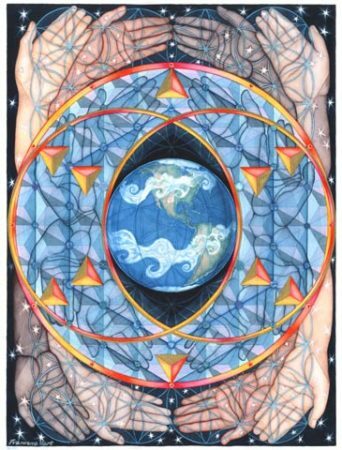 While there are several different belief systems around how this works, and where the different Earth chakra points are, there is a general consensus that certain areas of this planet hold great amounts of power and act as a vortex. 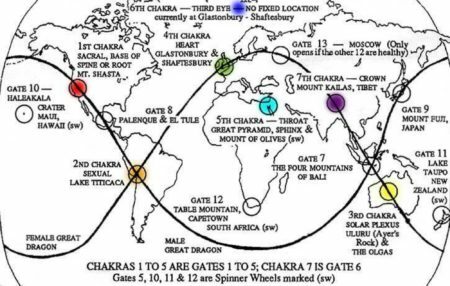 Mount Shasta in California, Lake Titicaca in Peru, Glastonbury in the UK, the Hawaiian Islands, Ayers Rock in Australia, Egypt, and Tibet are all places of power where this planetary kundalini has resided, and raised the consciousness of the people there during certain points in history. Many of these places have been considered the “seat of enlightened consciousness” at these different points in time, where they served as vortices for learning and rapid development of the human consciousness. But as Kundalini energy is meant to do, these ‘serpents in the earth’ have and continue to move, and have increased their intensity. One way to tune in with the awareness of planetary kundalini is to pay attention to the powerful “natural disaster” events that occur around the world–earthquakes in Chile, wildfires in California, volcanoes erupting in Asia, floods, tectonic plate movements…it’s not hard to see that there’s a patterning to these events, and that they have increased in frequency and scale over the past 6-10 years. The power generated by large-scale natural events creates equally strong responses in humans. The devastation and subsequent fallout is very real, and ripples out in ways that can permanently change the inner and outer landscapes of our lives. Some might call these events the birthing pains of a new earth, or Gaia’s cry for help, calling us to attention for the way we humans have neglected to care for her in a good way. When the power of nature comes calling, it is not inherently good or bad: it just is. The laws of nature follow cause and effect. Harmonization and balance. There is a cosmic dance afoot, and we are a part of it whether we are aware of it, or not. 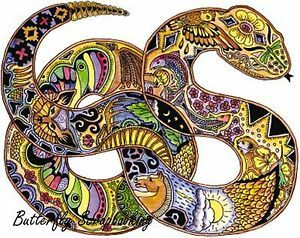 When we consciously attune with our own kundalini and do grounding practices that strengthen our connection with the earth, we can synchronize with these s serpents that move inside the planet. As we deepen our relationship with the planet that we live upon–and recognize that there is no separation between the way we care for her and how we care for ourselves–the greater the opportunity becomes to listen, heal, and be in sacred service tending to our human family home.